Dimensions 0 by 4.25 by 7 in. Amazon.com description: Product Description: The second book in the Urbane business essentials list, Networking Know-How gives everyone the foundation they need to become a brilliant networker! Being excellent at networking is the essential skill for personal and career success, whether going after a dream job, branching out and starting a business or simply to meet new people. With a clear and practical goal-oriented approach, the book will show you how to become an amazing networker. Packed full of tried and tested techniques and secrets from some of the UK's most successful networkers, the book contains useful tools, tips and real life examples of people who have used networking to secure their dream jobs, make career moves, grow their business or even find their life partner, to those who network and connect people professionally for a living. 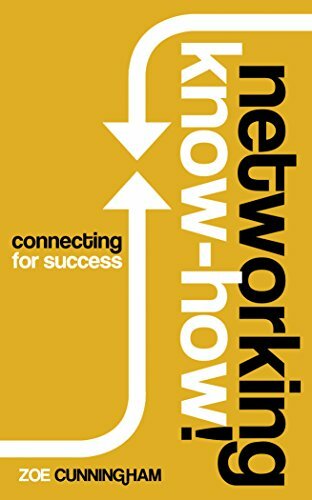 About: The second book in the Urbane business essentials list, Networking Know-How gives everyone the foundation they need to become a brilliant networker!